The NBA MVP is arguably the most prestigious in sports. Oftentimes, it reflects not only the value of a player’s performance but their significance to the game itself. A look back at its recipients details the standard bearers of every position, from post to perimeter. So while the award continues to evade definition, anything less than a unanimous decision would be doing this year’s recipient a disservice. 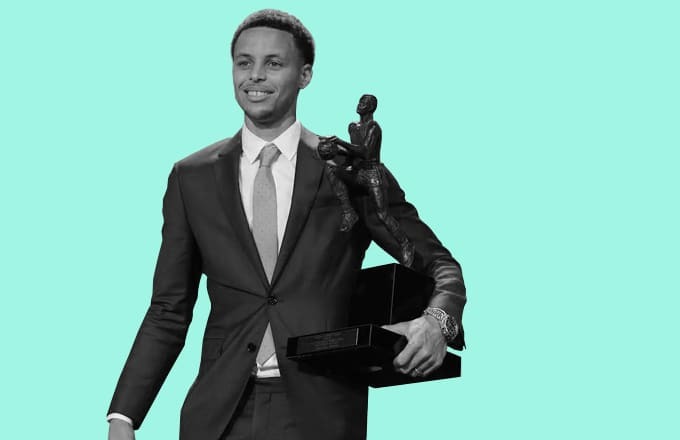 You see Stephen Curry is more than the MVP. He’s a transformational talent whose play has surpassed our expectations of traditional dominance and expanded the boundaries of possibility. Granted, the three-pointer became more than a novelty years ago. Simple math and sharpened skill have cemented it as a foundation of any successful modern offense. However, Curry is practically an offense unto himself and one unlike any we’ve ever seen. The way he weaves through a defense or stretches it beyond its breaking point does more than create opportunities for teammates. It creates a new future—one in which the slightest frame may belie the greatest advantage. As for the present, the only intrigue left in this regular season is to wonder by how many games Golden State will eclipse the ’96 Bulls’ 72-10 record and whether any fool would dare deny Curry the first unanimous MVP in league history. So rather than encouraging such silliness, let’s use this exercise as an opportunity to thoroughly vet the candidates for second place and appreciate the performances lost in Curry’s wake.